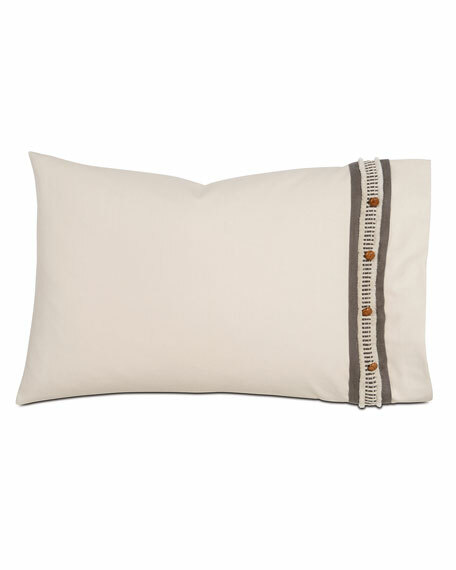 Cotton sham with beads and contrast taping at opening. 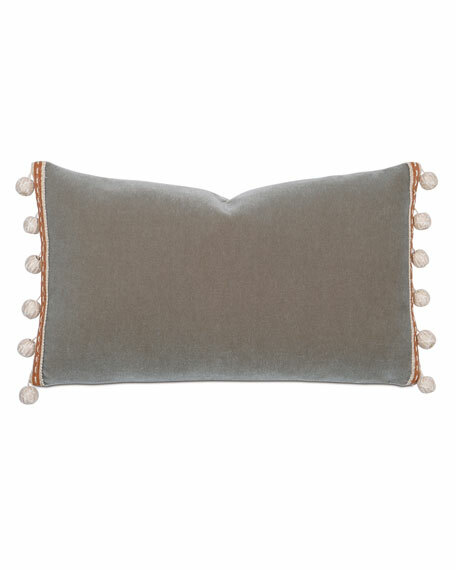 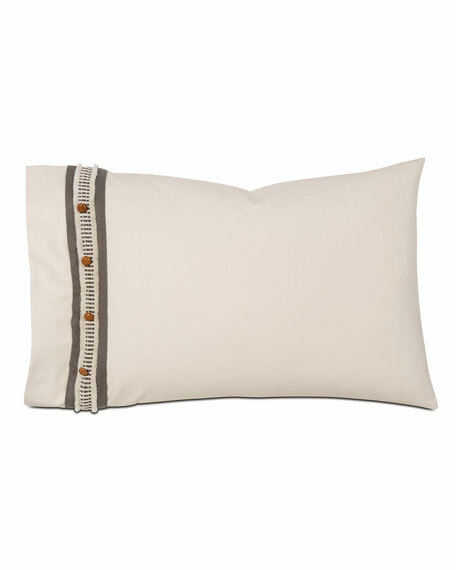 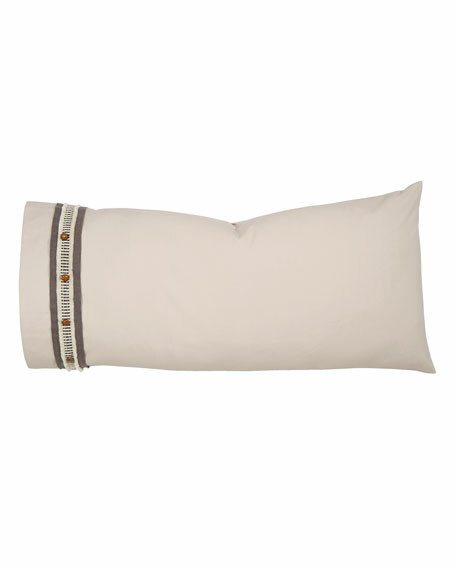 Decorative pillow with pompom tassels at taped ends. 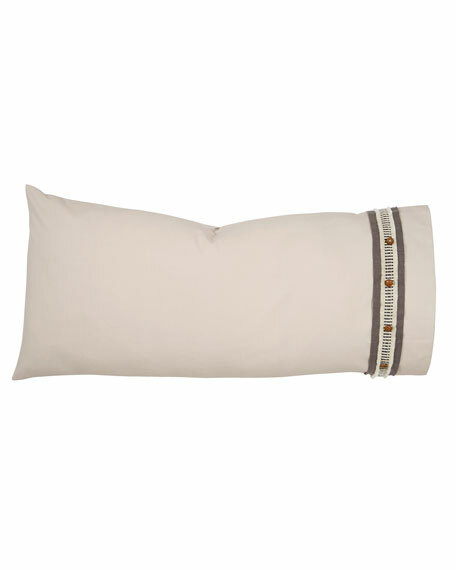 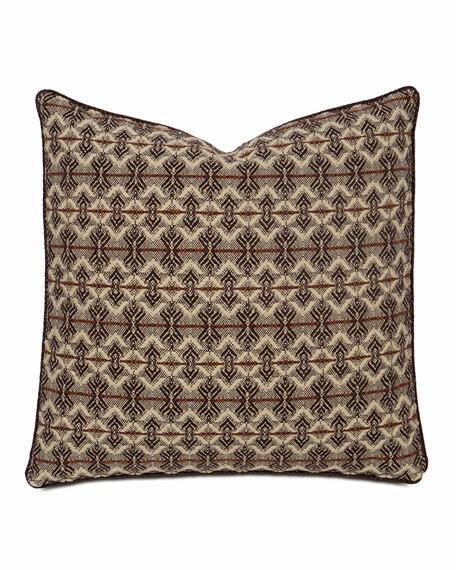 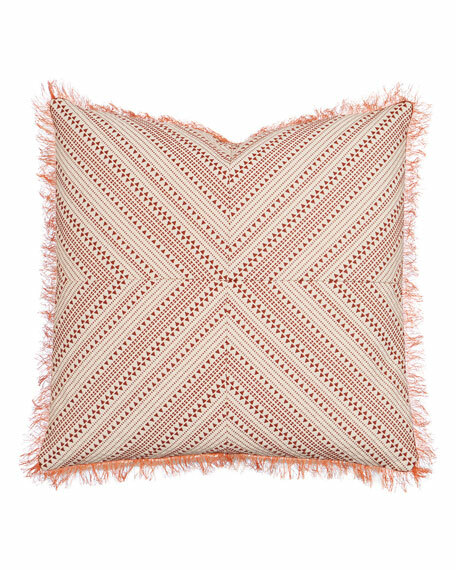 Decorative pillow with fringe finish. 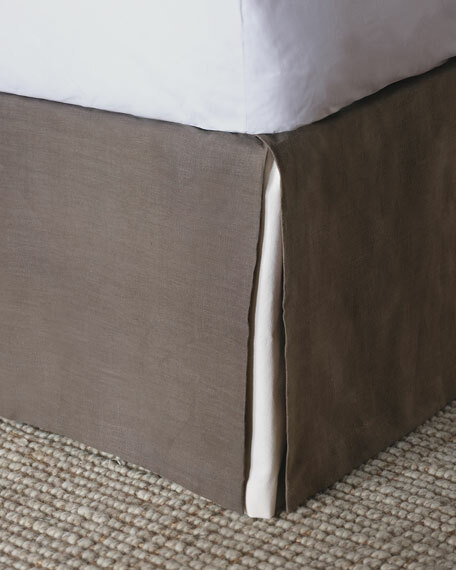 Dust skirt with open corners. 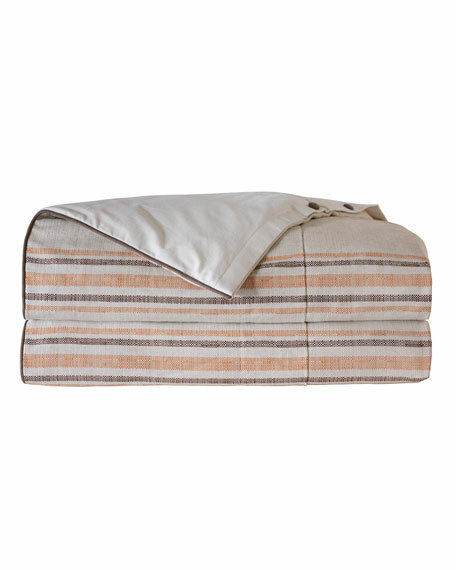 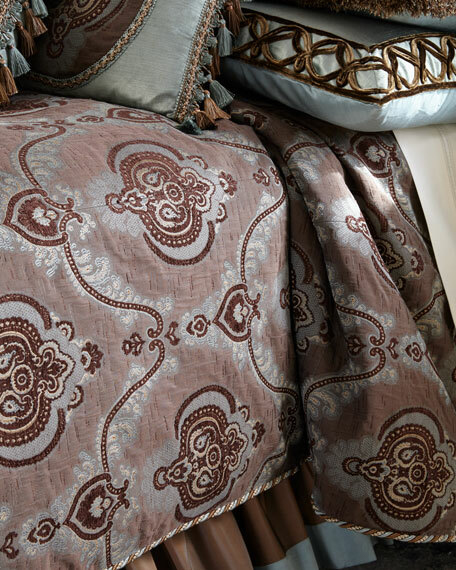 Duvet cover made of washed cotton/viscose velvet in neutral hues of champagne and ivory.Machine wash.Applique design.112" x 98".Imported. 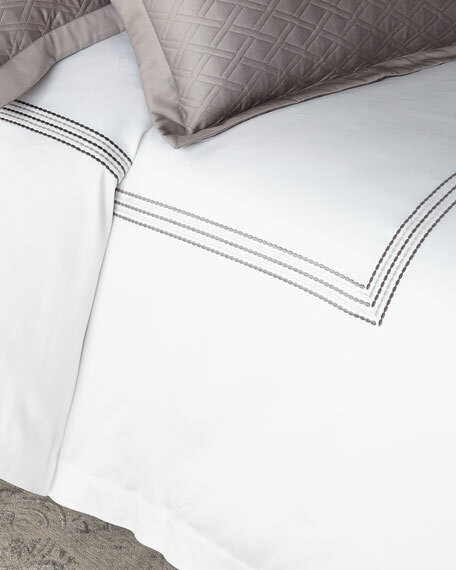 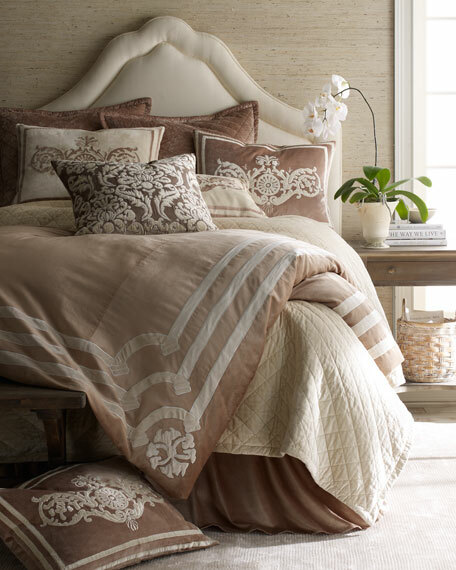 Duvet cover adorned with velvet appliques and embroidery.Made of polyester and cotton/viscose velvet.Machine wash.112" x 98".3" flange.Imported.Insert sold separately.